Eating out becomes a modern growth phenomenon, especially with the Millennials. In modern society a restaurants, cafe and/or a gourmet places became an established institutions that individual or family can choose from. The food environment has so many options that is common for people to eat at least one meal out everyday. Now, as I see it, more and more people are making the choice to eat outside the home rather than being involved in the food preparations process, especially with students who are living in a school dorm and/or working students who are living alone or the house is far away from the school. It take a lot of time to prepare food for lunch and dinner and they might get late going to school. 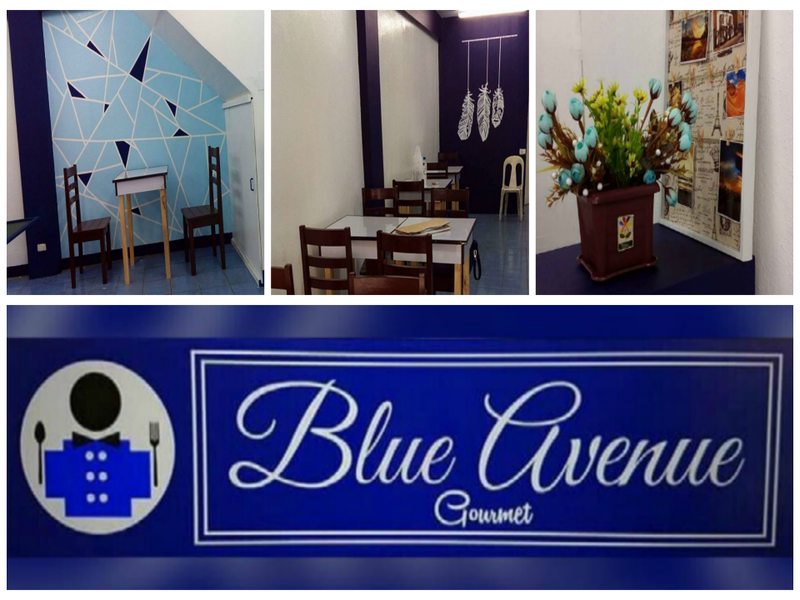 Good thing, we have BLUE AVENUE GOURMET located at Door 5 CVA Bldg. 4, CM Recto Avenue (formerly Claveria Street) near Ateneo Claveria gate beside Jade Bookstore. The gourmet had its soft opening last July 18, 2016. It's a family business. A collaboration of three(3) sisters, lead and manage by Diane Therese Villa-Abrille, a 3rd year Civil Engineering student from Ateneo de Davao University, Trisha Marie Villa-Abrille a CPA and Angela Villa-Abrille who loves to bake. Both Trisha and Angela made the store concept and together with Ms. Kit Villa-Abrille, a hands-on mom who take cares of everything, especially in marketing and customer services. The first thing that made me decide to enter this place is to see what's inside. And yes, to try their FOOD. 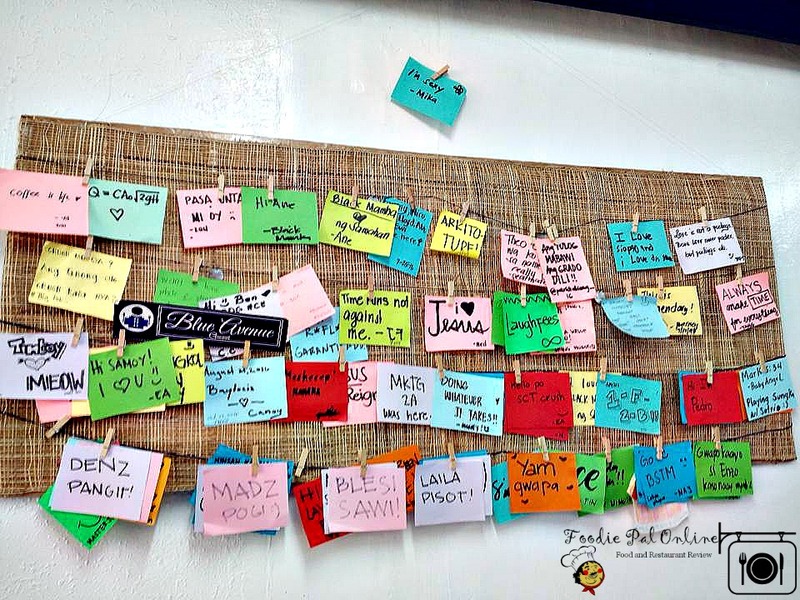 As a food blogger, I want to explore new things...new food place to eat in Davao City that is very affordable and budget-friendly both for students and mom like me! 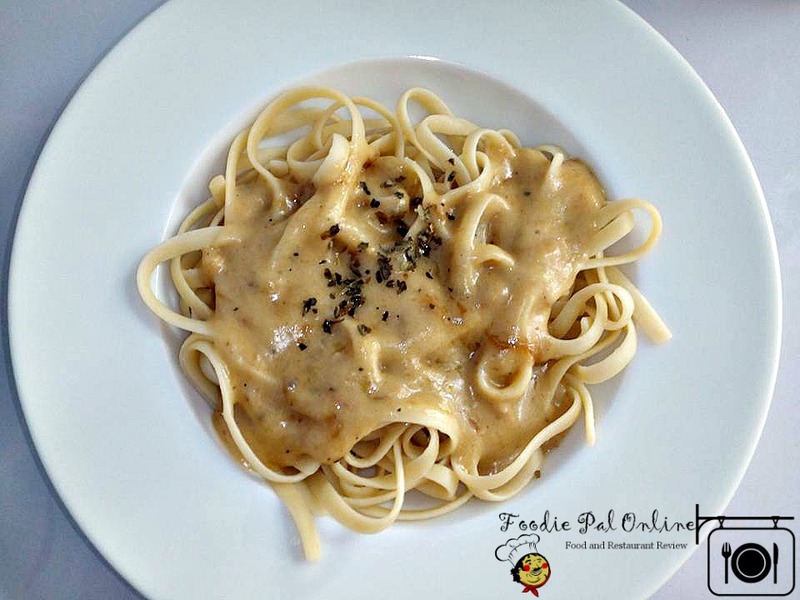 An Italian-inspired fettuccine served with a glass of iced tea for only P55. Verdict: As I said, I am a bit of a pasta nut. I just love it! Love the Fettuccine. It's like more of a fettuccine-carbonara except there's no bacon on it. But a big bowl serve with carbolicious with nice, sweet and creamy taste...sounds PERFECT to me! 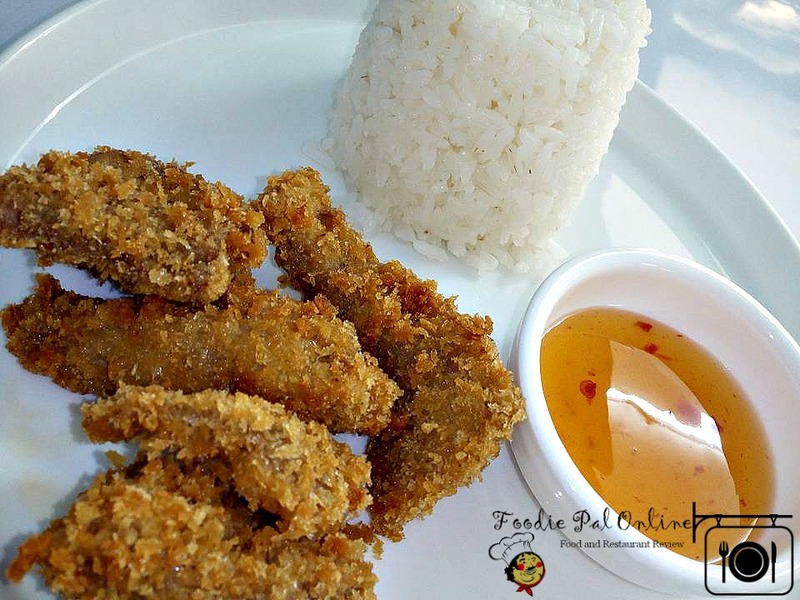 Crispy Fish-fillet served with rice and a glass of iced tea for only P55. Verdict: Since my mom order this, I got the chance to taste it first. Hahahaha! You will surely love the taste of their fish-fillet - its not cream dory fish as we always use in cooking fish-fillet. They used Fresh TUNA from GenSan and its very light, smooth and yummy. 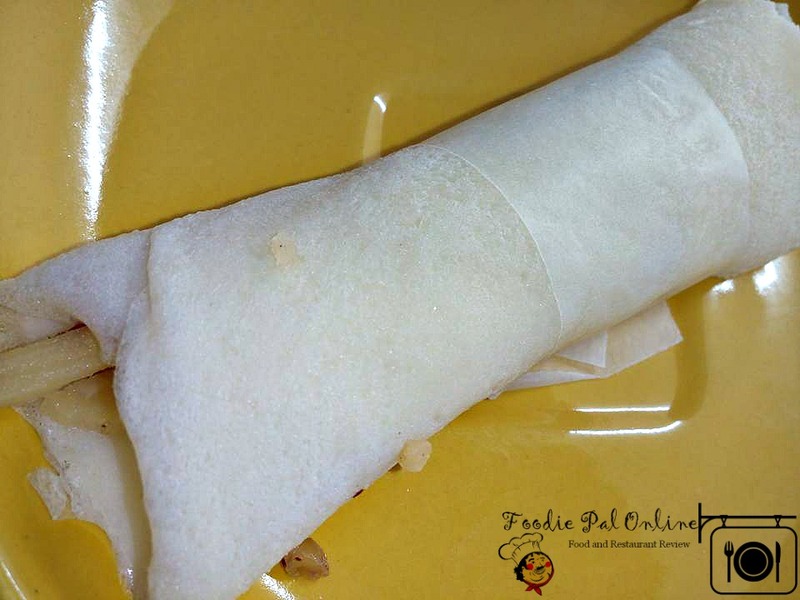 Fresh Lumpia for only P10. 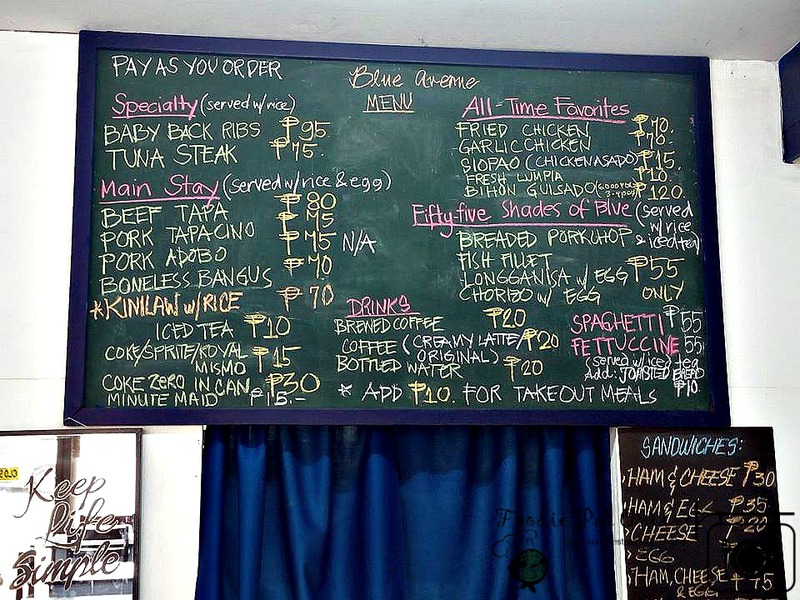 Actually, there's a lot to choose from the list of their menu, but because I crave for pasta I choose the FIFTY-FIVE SHADES OF BLUE menu list. Before, a food place is look upon in terms of reasons that people choose to dine outside because they want to try new and different foods. 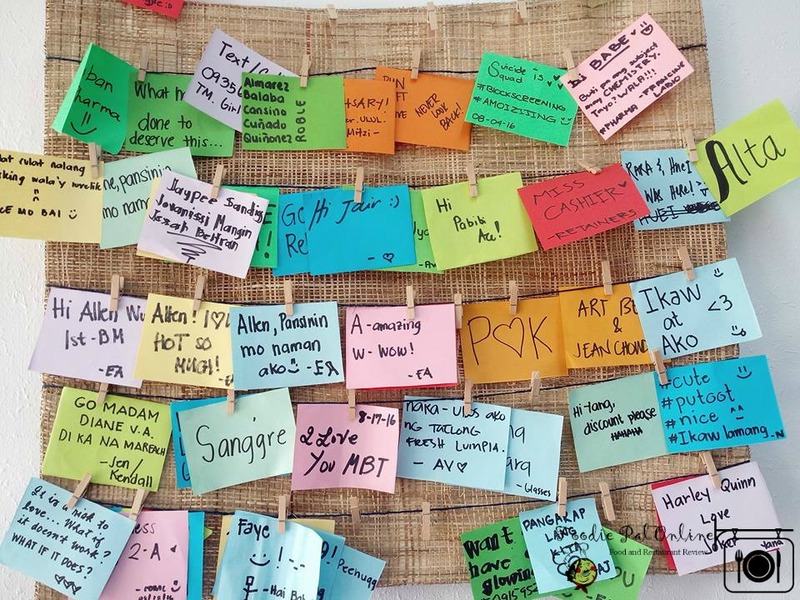 Now, aside from trying out different food they want to establish and maintain social connections. This is one thing Blue Avenue Gourmet management wants to imply to their customers, that their place is a place to unwind. and at the same time if you want you can write and post message, play and sing inside the gourmet. PLAY MUSIC & if you want you can SING (by the way they have a guitar free to use) I forget to take picture. 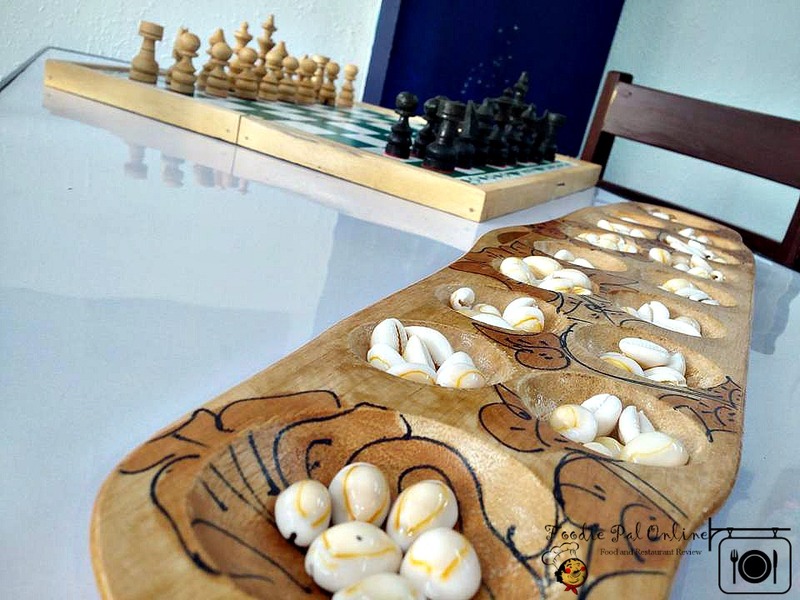 Greater individuals make the choices to eat outside the home, is one thing that is different right now, they utilize restaurants as a source to reallocate their time and energy. 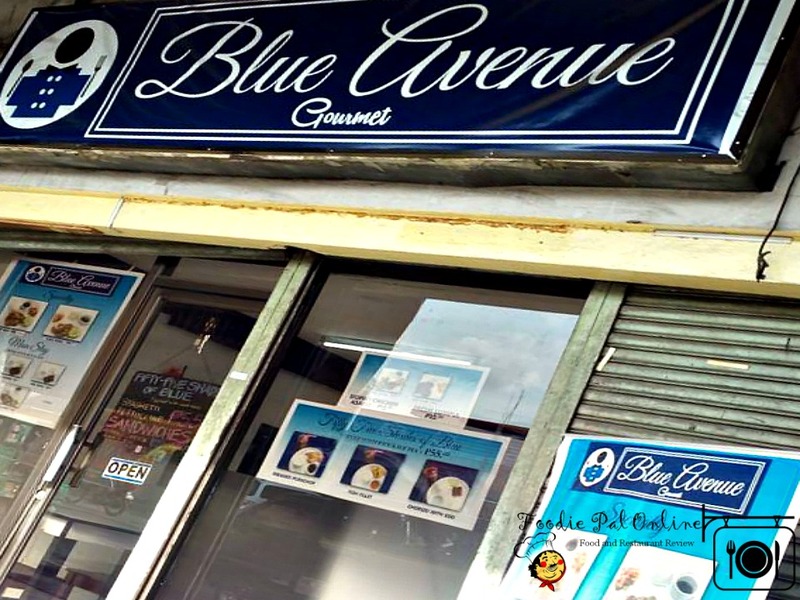 Love the concept of the BLUE AVENUE GOURMET, though as the owner told me they have a lot of things to improve but they are overwhelmed with the result they received, especially with the positive feedback from their customers. Worth returning since I wanted to try their All-time favorite Baby Back Ribs and Kinilaw with rice (as the owner told me their tuna came all the way from her cousin at General Santos City). Another time maybe! See you soonest B.A.G (well that's the way I say it for shortcuts), since their main market target is students.